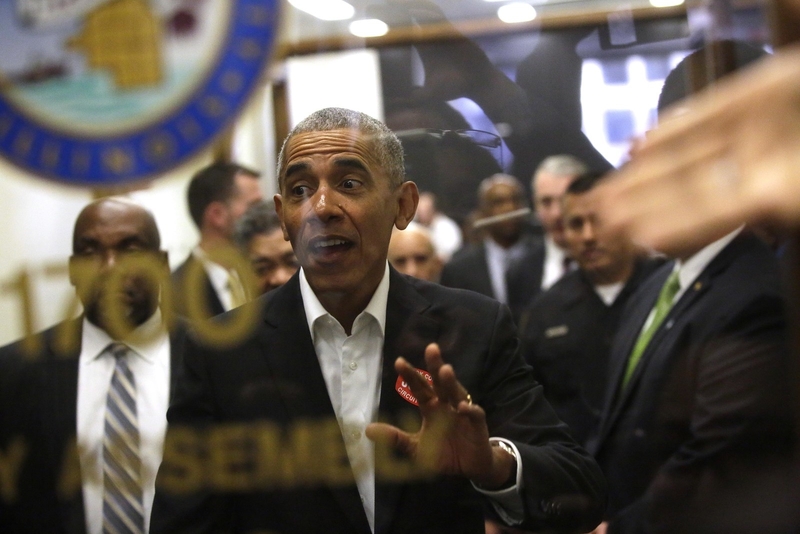 Former President Barack Obama, along with his barrage-Obama of security, reported for jury duty in Chicago on Wednesday morning. He was summoned in late October. 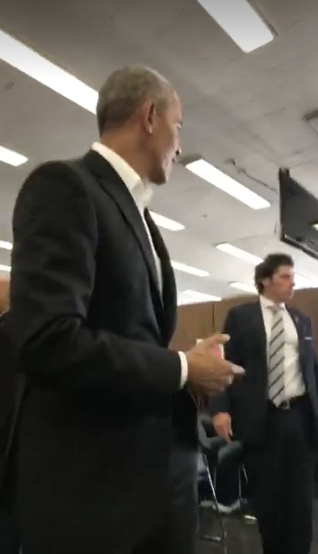 Unlike most days at the Daley Center, where jury selection is held, Obama's arrival caused a wild spectacle that can only be described as "lit." The former president even waved to a large crowd of spectators. As for the citizens who were summoned on Wednesday, they were shocked to see him. They were suddenly very excited about their civil responsibility to serve. Thomas Pearson was sitting in the holding room when he got word Obama was expected to show up. 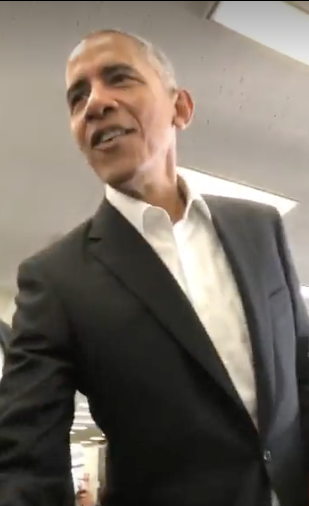 Pearson quickly began filming, and recorded Obama shaking the hands of possible jurors, including his own. "It was awesome," he told BuzzFeed News of the whole experience. In the video, Pearson admitted that he "was gonna ditch jury duty today." 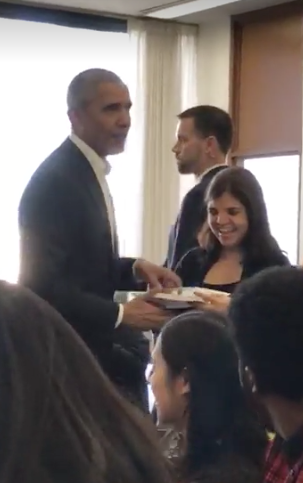 Obama worked the room and even signed a few books for people. He also thanked the staff for their service in "the core part of the justice system." 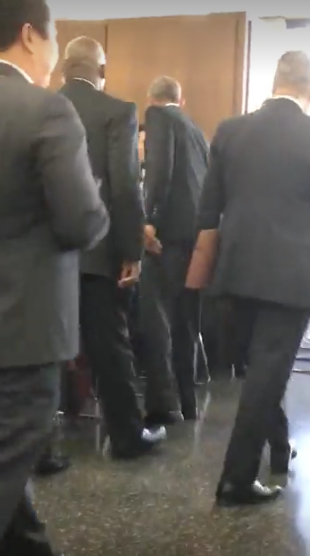 Obama was reportedly held for less than two hours before he was excused. 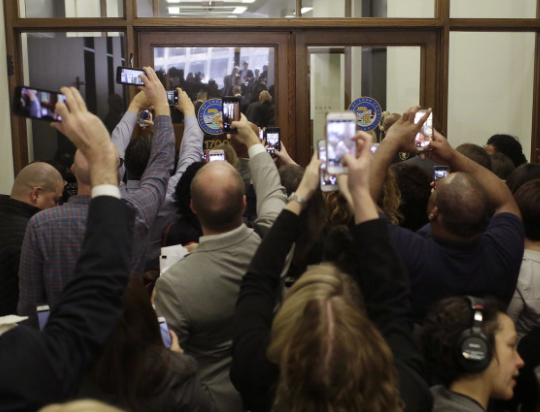 According to a Chicago reporter from WBEZ, lawyers waiting outside said they would NOT want Obama as a juror...understandably.